Serving the communities of Aston on Trent, Elvaston, Weston on Trent, Shardlow, Swarkestone, Barrow upon Trent and Twyford. The Rev’d. Paul Hygate BA. The Rev’d. Michael Rogers, Weston on Trent. The Rev’d. John Lear, Aston on Trent. Mrs. Suzanne Williams, Aston on Trent. Mr. Alan Winfield, Stenson Fields. For the guests of Marriage and Christening services who might want to buy christening or wedding gifts, there are a lot of keepsake presents or religious gifts. In addition of the Marriage service Trent and Derwent Parish Churches will give the happy couple a gift for the first wedding anniversary. May I first of all say a big “Welcome” to you and your family on behalf of the 7 parish churches in the Trent and Derwent Group. 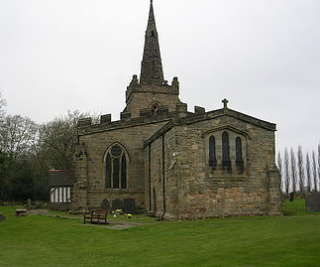 The Church has been active along our northern bank of the Trent for around 1350 years and we are fortunate to have inherited some very ancient and beautiful church buildings, which truly belong to the local community and in which worship and prayer is offered on your behalf throughout the year. These buildings serve as the focal point for a community of Christian people who seek to serve the local parish in the name of Jesus. Please take time to browse this website, which describes the variety of work and worship to be found in each of our parishes. We offer a warm welcome to all of our activities, no matter what your own faith background might be. If you would like any further information, give me a ring, send me an email or just come along and see! Tony is a member of ‘All Faiths’ Watch a video interview about the group.